Chaos continues at the Coral Springs Early Voting location. Broward School Board candidate Abby Freedman (D-Alone) continues to aggravate candidates, campaign workers, poll deputies and voters with her overly aggressive campaign techniques. Freedman repeatedly tells Republicans she has the GOP endorsement. She knows this is not the truth. The Broward Republican Party joined local democrats such as Lori Parrish, the Police Benevolent Association and local firefighters by endorsing her opponent Rochelle “Shelly” Solomon. Freedman has been observed violating the non-partisan nature of her campaign by telling voters she is a Democrat. She must have learned this trick from fellow TEAM STACY RITTER member Dr. Mark “Fancy Pants” Gendal. Witnesses say Freedman has been making rude gestures and comments to local reporters as well. On Monday, poll deputies grew tired of Freedman’s antics which were holding up the line. Freedman, standing at the edge of the 100ft “no campaign” boundary, berated voters with her canned appeal to root out “special interests” and bashed the Broward Teachers Union. 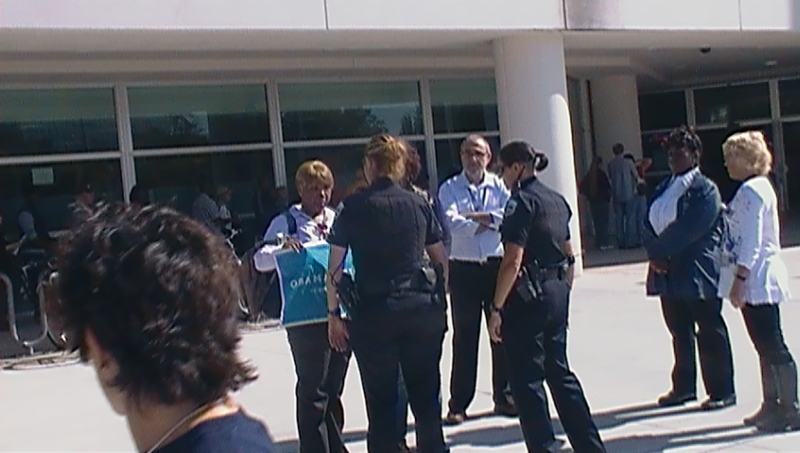 Poll deputies were forced to put up cones, creating a “safe zone” between voters in line and Freedman. On Wednesday, a local Obama supporter decided to repeatedly violate the “no campaign” zone. The Obama fan, parading around the Library grounds with an Obama sign, ignored warnings from poll deputies and security personnel. Elections officials were forced to call Coral Springs police who warned the unidentified woman that she faced arrest if she continued to break the law. 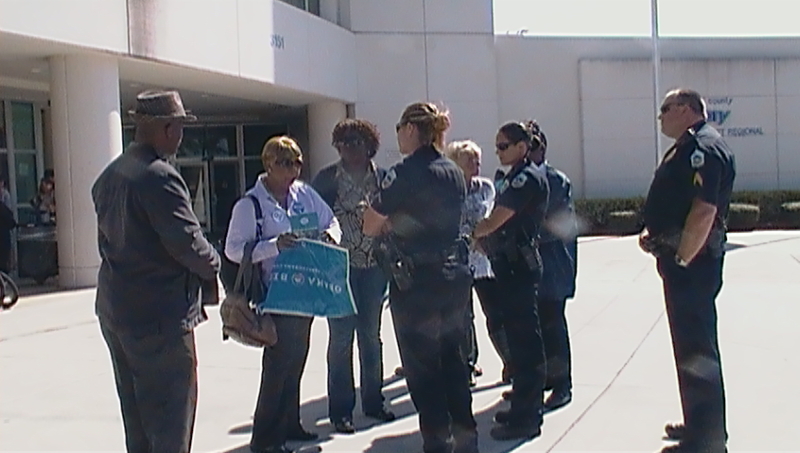 The woman said “they’re trying to intimidate me”, but in the end she decided to follow the law. Previous Previous post: Is Dr Mark “Fancy Pants” Gendal Breaking Election Rules? Next Next post: Elections Commission Wonders If Dr. Mark “Fancy Pants” Gendal Follows The Rules?